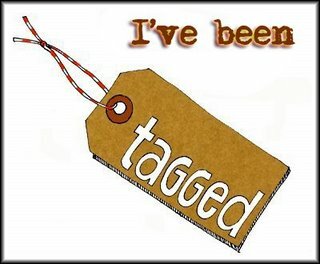 It's All About Books: TAGGED! Who is your favorite literary character of all time? Seriously? Ed Kennedy, Mr Darcy, Heathcliff, Anne, I DON'T KNOW, there's too many. I can't think of an all time favorite. If you could go anywhere in the world, where would you go? Europe... all of it. If money were not an issue, what would you buy yourself at this very instant? A trip to Europe, one that would last the whole summer. Who is your favorite actor? Wentworth Miller, though I've only seen him on Prison Break. David Tennant has recently come to the top also, though I've only seen him on Doctor Who. 1. Do you bake? What's your favorite thing to make? 3. What's your biggest pet peeve? 5. Where's the best place you've ever visited? 6. What would you do if you could do anything for a whole day? 7. Look on the floor by your bed... do you have books there? How many? 8. What's the best book you've read so far this year (since January)? 9. What's your favorite book genre? 10. What are you making for dinner tonight? 11. Why eleven questions? Any guesses? I hope you can all play! The Book Thief? Really, top book?! Wow, how funny that I had no idea. I mean I knew you liked it but...wow. I should have made some snide aside comment on that one too, like I did on some of the others! I forgot! LOL. Super rich would be nice! But yeah, wouldn't that be fun! Interrupting your conversation to ask if you know what happened to Jenny's blog. It seems to have disappeared! Love your answers. I'd spend a summer in Europe if I could, too. Bookfool...AH!! WHAT? I can't see it either! Will Blogger be able to fix it? I've been with Jenny all evening (book club) and I know she had no idea. I've just messaged her. Ugh. Not good. Wahoo! Thanks, Suey. I'm relieved. I was all set to be heartbroken because Alternate Readality has become one of my favorite blogs. Jenny's a hoot. I love your answers! David Tennant is the best Doctor Who. As you know, I adore The Book Thief. I will get on my response and post my answers soon! Awesome! I'm glad you are okay with the tagging thing. And David Tennant... sigh. Oh my gosh! You love Ladyhawke? So do I. I hardly know anyone that loves/likes/has seen that movie. It's so awesome!!! I also love the music! And, if you've seen Harry Potter and the Goblet of Fire, then you've seen David Tenant in one other role. He was Barty Crouch Jr.
Jenni... I LOVE LOVE LOVE Ladyhawke! Yes, music too! And now I'm going to have to find DT in Harry Potter. Cool. It's so hard to come up with just one answer to the questions, isn't it? !